Many motorists don’t consider the reality of a write-off to their vehicle. Even the finest insurers will only reimburse you for the current market value of your car. Meanwhile, the second you drive it off the forecourt a car’s value begins to depreciate. A GAP Insurance policy tops up an insurer’s payout in the event of a write-off, providing the extra funds to purchase a replacement vehicle or to settle any outstanding finance. Confused? Not to worry, just enter your details and we’ll create the policy right for you. Easy. You are covered for the car's value at inception. 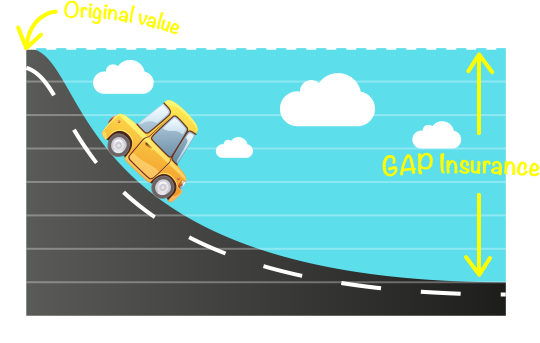 As your vehicle depreciates over time the value of your GAP Insurance cover increases. Due to depreciation your insurer payout will be less than you owe the finance company - leaving you to pay the difference. GAP Insurance covers most early on, clearing any finance you owe in full. Don’t worry about car write off loss. Depreciation means cars lose value very quickly, so if your car is written off or stolen you can be out of pocket. On average a car loses around 60 per cent of its value in three years (the typical length of a PCP). So, if your new car costs £12,000 and three years later it was stolen or written off, you’d get just £4,800 from your insurer. That’s not enough to buy the same car brand new and it’s unlikely to be enough to repay the remaining finance – due to balloon payments and interest on PCP deals. 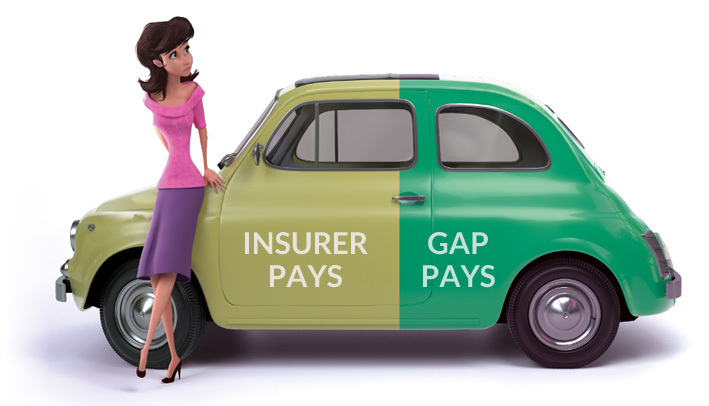 GAP Insurance will cover the difference between what your insurer pays out and, depending on the type of policy, what you paid for the car or what you still owe on the car. That’s why GAP Insurance focuses on new vehicles rather than older models as the rate of depreciation is much lower on a used car”. This may leave you exposed to any remaining finance settlement charges or the substantial loss suffered with the vehicle value depreciation. 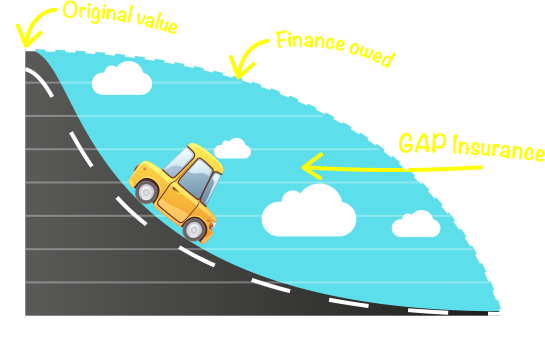 This can be avoided with MotorEasy Gap insurance. The claim limit is £25,000 including any insurance excess up to £500. Return to Invoice (RTI) GAP cover is available for new or used cars purchased within the last 3 months. When you contact CCP to request a claim form CCP will call you to discuss how to deal with the settlement offer from your motor insurer.